Moisture management is an important subject when it comes to riding comfort. It’s no fun to ride when you’re covered in sweat. Base layers are designed to help move moisture away from your body, so you stay cool in the summer and dry in the winter. 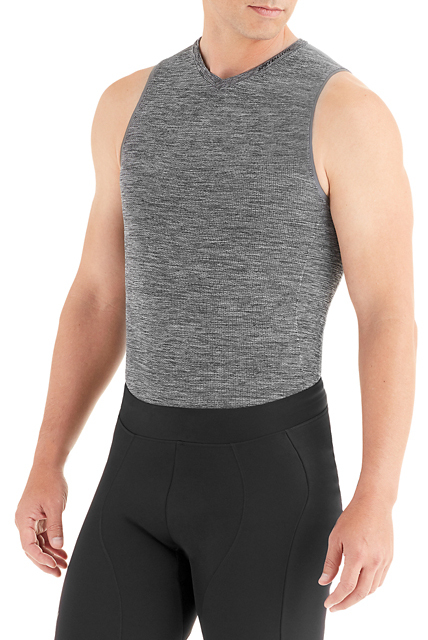 The Specialized Seamless Sleeveless Base Layer is a piece of technical clothing that is designed to be next to the skin. It features a seamless construction that reduces edges and stitches on your body that could be sources of irritation and inconsistent stretch. The synthetic yarns are blended to have a soft feel and to move moisture away from the skin, while also retaining a compressive feel. It has a targeted stretch and support built-in. This base layer will move with your body while you’re riding. It has a form fit that closely conforms to the curves of the body.